A generation ago, Lodi was evolving from its table-grape heritage into its wine-grape future. A handful of tasting rooms have transformed into an appellation with some 80 – and growing – spots to sample wines in the former Tokay capital. These include several pioneer Lodi families that have embraced the wine movement. 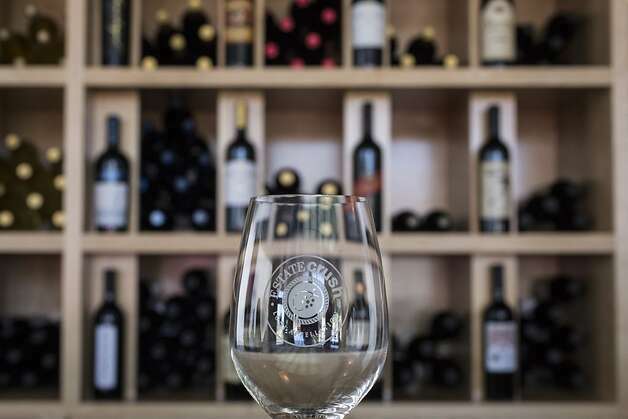 Downtown Lodi offers many tasting rooms, making it easy to sample, stroll and snack. You can also buy a Sip California card … that provides tastings for two at nearly 20 outlets. Cards are available at wineries or at sipcalifornia.com. *Please Note: this article was published in 2012, offers may have changed. Abundance Vineyards: Brothers Dino and Ron Mencarini began transforming family cornfields into vineyards in the 1960s. While some of the grapes come from other areas, most are from Lodi. The Tuscan-influenced building looks as if it had been part of the land for decades even though it is just 3 years old. Try three whites and six reds for $5; three sparkling pours for $3 or three reserve selections for $3. Sip California. Fees waived with the purchase of three bottles. 1150 W. Turner Road, Lodi; (209) 334-0274. abundancevineyards.com. 11 a.m.-5 p.m. Fri.-Sun. and by appointment. Estate Crush: This downtown tasting room showcases the wines it makes for grape growers who want their own wine, turning as little as a ton of grapes into one’s own label. Tours of the wine-making operation, which will have 85 labels by the end of the season, are available, but you can also sneak a peek on the side of the building. Taste three wines for $3. Fee waived with wine purchase. Sip California. 2 W. Lockeford St., Lodi; (209) 368-7595. estatecrush.com. Noon-5 p.m. Fri.-Sun. or by appointment. Woodbridge by Robert Mondavi: The Robert Mondavi name is so tied with the Napa Valley that most people don’t know that he grew up here (St. Anne’s; Lodi High). Woodbridge is the big kahuna of Lodi. It’s not quite on par with its cousins to the west or with some of the local boutique wineries, but it has volume and a name that reverberates. Woodbridge has a picnic area, and free tours are offered at 9:30 a.m. and 1:30 p.m. Sip California tasting levels are complimentary, $5 and $10, with four pours each. 5950 W. Woodbridge Road, Acampo; (209) 365-8139. woodbridgewines.com. 10:30 a.m.-4:30 p.m. daily.